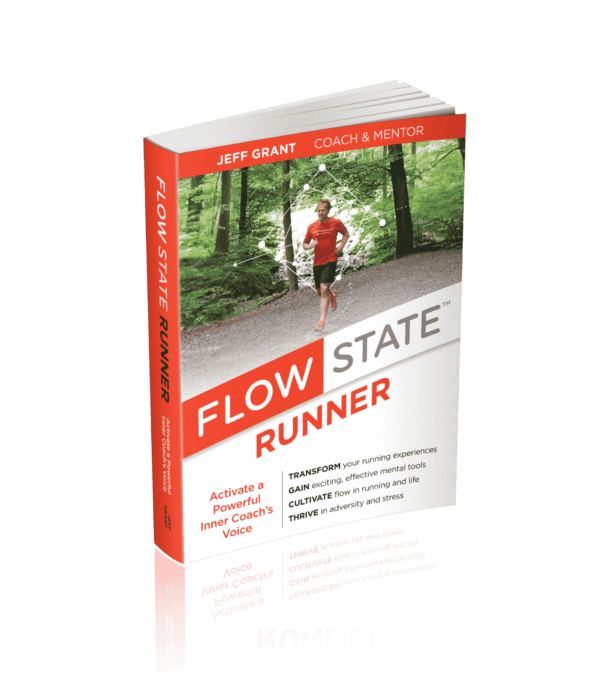 While Flow State Runner is focused on running, many of Jeff’s lessons transfer seamlessly and supportively into other areas of life. I designed Flow State Runner to include a large amount of coaching input, from a super hero’s utility belt of mind tools to guidance on training and workout design. I also dive into the topic of racing, where I provide pre- and post-race rituals and other valuable coaching insights. 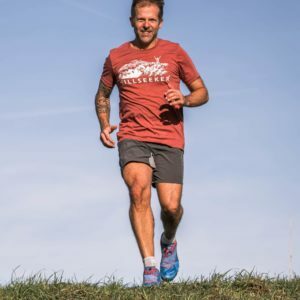 My aim is to help you advance your running practice in a sustainable manner that leads to higher performance and increased experiences of flow while on the road, trails, or in life in general. This book is animated by what I’ve learned and developed on my 20-year quest to maximize fulfillment in my life, to pursue epic challenges, and to push past what I thought were my genetic limits. I don’t consider myself an elite runner — far from it. While I do have a collection of race medals across all distances — from my coveted first 5K to extreme ultra marathons and stage races — none are for podium finishes. Development as a runner was a challenge for me — nothing came easily, and I wouldn’t have had it any other way. Overcoming this challenge yielded my special journey of learning and enabled me to become an effective coach for thousands of runners in workshops and my online coaching practice. Driven by a passion to unlock a creative and highly effective set of coaching tools, my immersion into the world of human performance, inner coaching, and flow led me to pursue new experiences in skydiving, surfing, learning new musical instruments, motorcycle superbike racing, skateboarding, dancing, gourmet cooking, handstand training, and meditation. This eclectic mix of pursuits offered many opportunities to study fear, the process of overcoming struggle, and ultimately performing at one’s highest potential. My passion is coaching. It’s the fire behind a rocket-fueled approach to life that leaves me buzzing with each opportunity to work in-person or virtually with runners, athletes, moms and dads, teens, executives, and anyone else who wants to learn a new paradigm and improve themselves. 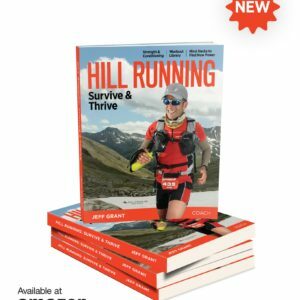 I’ve directed that passion into developing this resource to have a profound impact on your running. Review content comes from Amazon Services LLC. It is provided as-is and is subject to change. Here’s the link to the buy the EBOOK version directly from me.